Usually things are different in another country. Some of them are better, some are just special or even may appear strange to you. 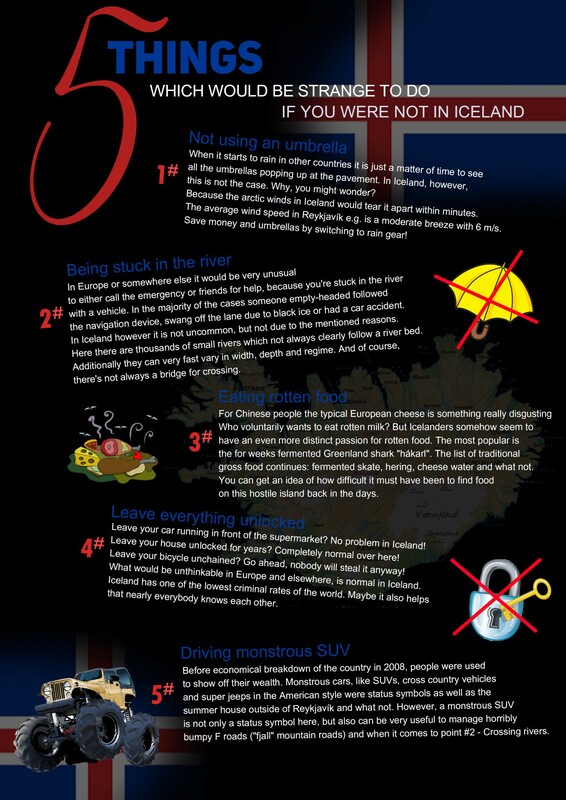 Here are 5 things I collected in an infographic which I think are quite unusual here in Iceland compared to what I am used to from the European mainland. If I picture doing those things back home, I guess they would be considered as not normal. I give you one example: I was taught by my whole family to be hyper-careful and lock everything mindfully. Once I left my bike unchained, it got stolen in Berlin. If you park your car in Prague, you would even check for every single map inside the car to not attract any attention for thiefs before even leaving the car for just one minute. And you would never ever leave your car on a non-video-monitored parking lot in Rome. So, for me it is some kind of relief of being aware that there won’t be someone waiting just around every corner to mug you before you are even able to blink. 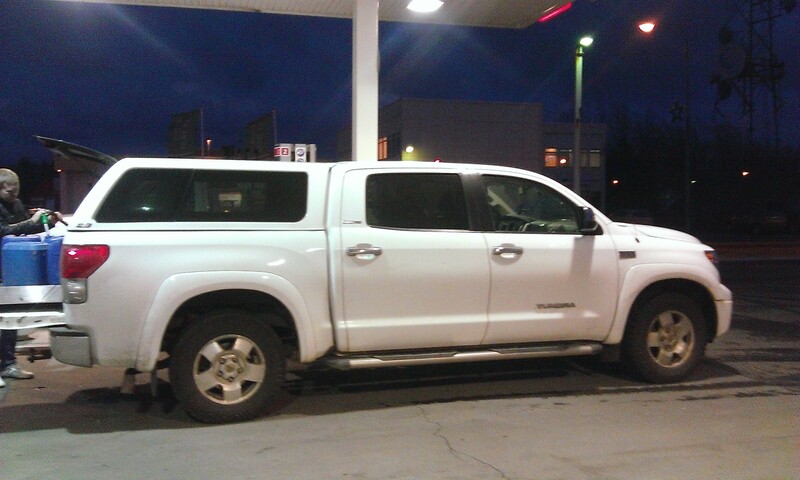 And to give you an idea of what I mean with 5# “Driving monstrous SUV” – here is an example for you. I don’t even want to know, how much fuel this “car” consumes!!! Approriately enough this picture was taken at a gas station!